We’re almost two months into the current 2018-19 NBA season, and 2K’s back with their latest mobile offering for basketball fans — NBA 2K Mobile. The game comes with more than 400 collectible player cards representing players from the current 2018-19 NBA season and a few from the past (though we’ve yet to encounter any), all 30 NBA teams represented, and a variety of in-game modes where you can test your ability in 5-on-5 games against AI opponents and human players alike. You can also take part in Drills, which may be seemingly more casual than the higher-stakes 5-on-5 games, but can also earn you some useful rewards, especially if you complete the tougher ones! Not too long ago, we shared with you our NBA 2K Mobile beginner’s guide, where we talked you through the basic aspects of this new title, and gave you some tips for controlling your players, making sure you outscore your opponents and win those games more often than not. Now we’re going to be focusing on some of the game modes we didn’t quite shine a light on earlier, as we now present to you our NBA 2K Mobile strategy guide for intermediate players. We may also include a few beginner tips we might have missed out on in the first NBA 2K Mobile guide, so be sure to keep on reading, as you may end up learning an unexpected thing or two in here! 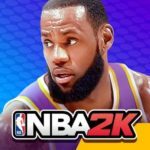 Like many other mobile games do, NBA 2K Mobile rewards loyal players by offering daily login rewards. From days 1 to 6, you’ll usually get Equipment Fragments, which you can then use to complete more pieces of equipment for your players, thus giving them a much-needed statistical boost in the applicable category. You’ll also get a special reward for your seventh consecutive daily login — as of this writing, the day 7 reward is a gold LeBron James card, which, as you can figure, can instantly improve your team, assuming you’ve got an overall PWR of 800 or less. There is, however, one important thing to keep in mind when it comes to daily logins. The folks at 2K appear to be quite strict about this, and it is explicitly stated, in fact, when the game informs you about the day 7 reward. Other game makers may give players a pass and not count daily logins consecutively, but this game does — if you fail to log in for one day, you will be starting from square one as far as the daily logins are concerned! Of course, it will be too good to be true if the game allows you to earn a free LeBron James card of gold rarity (and that’s far from the rarest tier in the game) while missing a daily login from time to time. You don’t need to play an actual game in order for your daily logins to count, anyway — even a few seconds will do it, just in case you’re too busy to actually play! In connection to the above tip, you may also want to pay close attention to the Checklist section, which you can find at the bottom left of the main menu. So if you’ve got enough time to play a lot of games within a span of 24 hours (or even just a few hours in a day, of course), you can take a look at what’s on the Checklist and try to complete the tasks before they expire. Tasks refresh every 24 hours, and may require you, for instance, to spend a certain amount of Energy, accumulate a given number of points, rebounds, assists, etc., or complete a Drill successfully with an A grade so many times. The Checklist tasks may vary, but you can earn a variety of rewards, including Equipment pieces and fragments, Energy Chargers, Collectibles, and Coins! Completing three Checklist items in a day will get you 35 coins, and if you’re an intermediate player, you should know by now how hard it is to earn coins in the game, as NBA 2K Mobile’s premium form of currency. The Store menu can be found on the left side of the main menu, and in here, you can buy a variety of items, including card packs, coin packages, and League-specific items (more on those items later). The items you can buy in the store can be purchased with coins (player packs), League Points (league items), and real money (coin packages), but you also have the option to open your free Player Pack in the Packs menu. These Free Packs may include one of the following — a Gold or Silver player card, Gold, Silver, or Bronze Equipment pieces, Collectibles, or Energy Chargers — but never more than one item. That means you’re assured of something useful in any case, with a small chance of getting a player who could improve your team and help you in the early goings of the game. Free Packs can be opened every 6 hours, so make sure you remember when you last opened a Free Pack so you could open as many as possible within the day! 4. How Do The Drills Work? Going further into the Drills mode in NBA 2K Mobile, we did mention last time that these challenges can run the gamut from coming from behind in a 5-to-5 game to completing a given number of bench presses in a mini-game-like setting. While this can be quite straightforward, we’ll be diving deeper into this mode, specifically the things you can, and cannot do in here. First of all, completing a drill successfully will give you an automatic A grade, while failure to complete them, as far as we’ve seen, will get you a D. Naturally, you won’t get any rewards for failing a drill, but if you’re successful, you’ll get the usual variety of rewards — mostly Equipment Fragments and Collectibles, with the rewards getting better as your grade gets higher. Likewise, higher-tier drills get you better quality rewards, though new drill tiers are only unlocked once you a) complete the previous tier and b) have a player whose PWR and position corresponds to the requirements. The game gives you the option to toggle from tier to tier and replay drills by simulating them at the same cost of one Energy unit. Now you won’t get the onetime reward for getting an A the first time around, but this is a good way to grind for Draft Picks and therefore additional resources which you can use to train and improve your players. If you don’t like the drills that are currently available, you have the option to spend five coins to refresh them, but since coins can be used to purchase some of the better packs in the aforementioned Store, we don’t really recommend doing this. Of course, you’re free to spend your Coins whichever way you wish if you’re somehow flush with this premium form of currency. But in most cases, we would definitely recommend against using your coins to refresh your Energy, regardless of the game mode. As we have yet to mention this in our guides, we should let you know that the Energy units you can spend in the game are divided into mode, so if you run out of energy for Drills, for instance, you can always go to Season mode and play a quarter or two, if you’ve still got some Energy remaining in that mode. However, we wouldn’t really call it a good practice to spend some Coins to get an instant Energy refill via Energy Charger — there are so many better ways to use your coins, and as we said in the above tip, this includes using them to buy player packs. If you’re lucky enough to win an Energy Charger or two, you can also use these to replenish some, or all of your Energy units, though these items are mode-specific, meaning you cannot use a Drills Energy Charger to refill your Energy in Season mode, for instance. 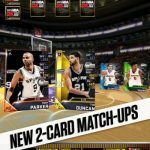 Yes, we know that it can be excruciating to wait a full half-hour to replenish one unit of Energy, but be patient — the game has many modes, and Energy is divided into each of NBA 2K Mobile’s modes, so feel free to switch from one mode to the next if needed. Aside from competing against AI opponents in Season mode, you can also face off against human players in League mode, which is the right-most option in the main menu. Typically, the game’s matchmaking system will pair you up with progressively tougher opponents as you win one game after another, and as you keep your streak going, you can win different types of rewards, including Coins and rarer player cards (not just the Bronze ones), for each additional win in your streak. Winning games will earn you additional Fans, which would allow you to level up from one league to the next as you dominate the competition. Losing games, on the other hand, could cost you some Fans, so it’s imperative that you always play to win in here, because those losses could certainly impede your progress while trying to move from your current league to the next highest one. In addition to Fans, you will earn League Points and Draft Picks after each quarter/half that you play — winning, of course, gets you the most points and the most Draft Picks. The League Points can then be spent in the Store, where you can use them to buy items such as Collectibles, Equipment and Equipment Fragments. Unfortunately, we’ve yet to see the game make rarer player cards available for League Points, but there’s certainly something in it for you when playing this mode. 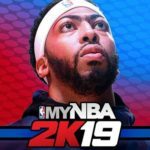 This may sound like a basic tip we should have covered in our NBA 2K Mobile beginner’s guide, and while we do agree with this, we also believe this is something you might miss out on, even if you’ve been playing for quite some time. 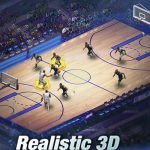 NBA 2K Mobile, given its “console-quality” graphics, is quite an intense game in the sense that all those complex graphics can take a toll on your device’s battery. As such, it’s not unusual for devices to go from 100 percent charged to less than 50 percent after playing just a couple of games! That’s why we would strongly suggest that you play this game on a fully charged battery, or better yet, play it while your device is plugged into a charger. You don’t want to lose out on progress (and waste an Energy unit) if your phone dies out on you unexpectedly! Also, playing the game on a low battery charge could make gameplay slow and clunky, and that could make things harder for you, even if you’re facing a relatively weak AI-controlled team. As long as you’re staying involved in the game and not letting NBA 2K Mobile’s dopey (as previously discussed) AI hinder you with questionable shots, lax defensive pressure, and even needless 24-second violations (yes, they can happen), the first three Seasons should not be a problem for your team, assuming you’ve got a rating of 575 or greater. Indeed, combining human and auto-play involvement appears to be the best way to go about things in these early seasons, but what if you end up losing a season game? Unfortunately, we’ve already learned the hard way that losing a season game, regardless of where you’re at in the season, would force you to repeat the season from scratch. Other games may cut you some slack by allowing you to replay the game that you lost and keep your progress going, but any loss, as we’ve found out, will wipe your entire season progress and have you starting out once again at the very first game. If it’s any consolation, this effectively allows you to grind for rewards, so it isn’t all too bad if you come to think about it.